Just in time for Star Wars Day 2017, Tracy Tubera has released the second colorway of his insanely awesome, and super popular, Darth Vader Jordan Sith Infrareds resin figure! 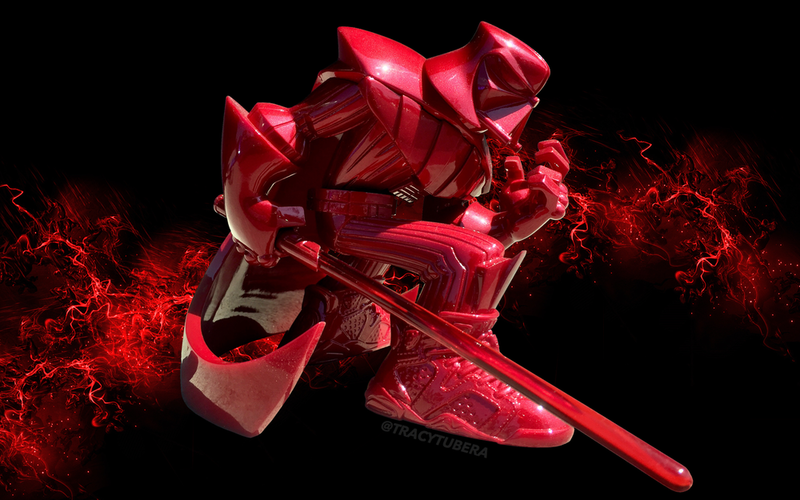 The Empire strikes back in this sleek all metallic candy red colorway. The Sith Edition Darth Vader Jordan Sith Infrareds Resin Figure features the Dark Lord of the Sith rocking his favorite classic J's and comes with a translucent red lightsaber with a metallic candy red hilt. 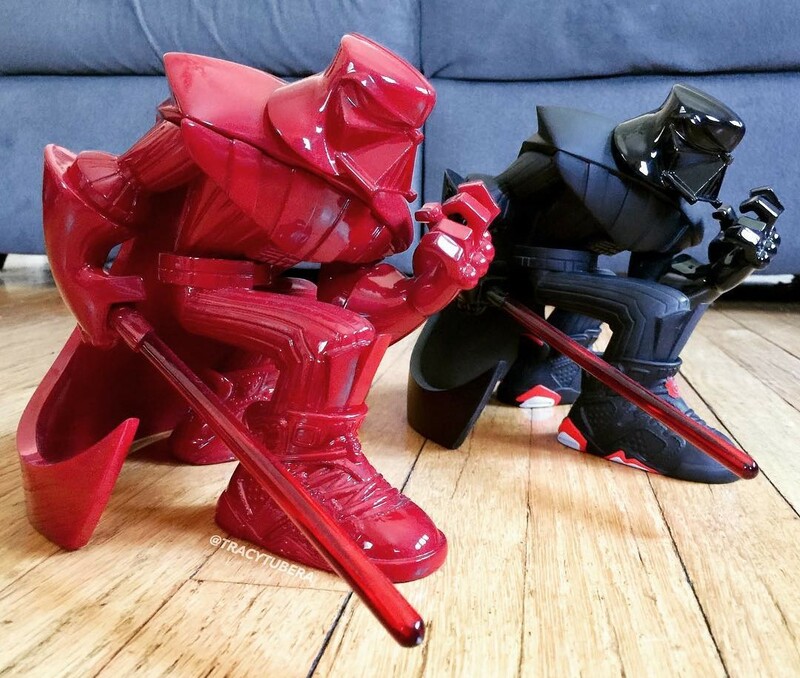 The Sith Edition Darth Vader Jordan Sith Infrareds Star Wars Resin Figure by Tracy Tubera stands 7” tall and 8” long. Produced in collaboration with Mana Studios, this hand crafted and hand painted figure can be pre-ordered now at Tubera’s online store for $200 each.